(Uptown Charlotte, NC) - A day after the Charlotte Knights added RHP Shawn Hill from the Toronto organization, released outfielder Gorkys Hernandez, and placed LHP Charlie Leesman on the disabled list, the team has bolstered its roster on Thursday. The Knights have activated long-time Knights starter Matt Zaleski off the disabled list and acquired outfielder Matt Tuiasosopo from the Toronto organization. Charlotte has also placed LHP Frank De Los Santos on the temporary inactive list. 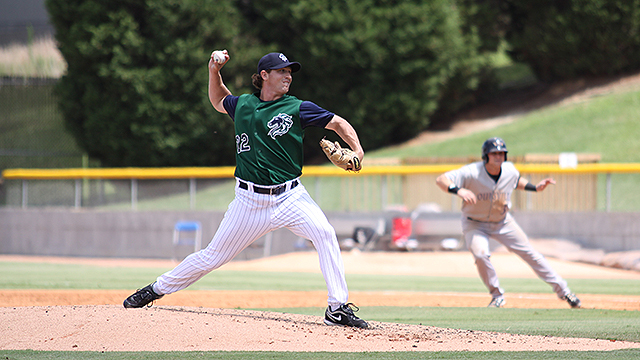 Zaleski is second all-time in Charlotte Knights franchise history in games started (70) and innings pitched (401.0). A native of Arlington Heights, Illinois, the 2014 season is the sixth for Zaleski as a member of the Charlotte Knights. He has 19 wins in his Knights career (tied for 9th) and ranks fifth all-time in franchise history in strikeouts (263). The 32-year-old right-hander appeared in just five games for Charlotte last season and posted a 1-2 record with a 5.74 ERA. He was placed on the disabled list with a strained right elbow on May 1 and had season-ending surgery (Tommy John surgery). Tuiasosopo appeared in 59 games for the Buffalo Bisons this season and posted a .206 batting average with two home runs and 18 RBIs. His last home run came back on May 10 at BB&T Ballpark against Charlotte. He has 81 home runs over parts of 11 Minor League seasons. A native Bellevue, WA, Tuiasosopo hit .244 with seven home runs and 30 RBIs in 81 games for the Detroit Tigers last season. He has appeared in 152 games over a four-year Major League career. His brother Marques was selected in the second round of the 2001 draft by the Oakland Raiders and played in the NFL from 2001 to 2008. De Los Santos is 1-1 with a 6.46 ERA in 15 games for the Knights this year. He began the year with Double-A Birmingham and went 0-0 with a 1.04 ERA in five games. Hill, 33, was pitching for Double-A New Hampshire and made his last start for the Fisher Cats on June 7. In three starts with New Hampshire, Hill was 0-2 with a 5.59 ERA (17.2 IP). A native of Mississauga, ON, Canada, Hill began the season with Triple-A Buffalo and posted a 2-1 record with a 4.85 ERA in six games (four starts). He's expected to start for the Knights in Pawtucket on Saturday. Hernandez hit .233 with 19 runs scored, 10 doubles, and eight RBIs in 47 games for the Knights. The Knights open a four-game series with the Pawtucket Red Sox tonight at McCoy Stadium in Pawtucket, RI. Pre-game radio coverage of tonight's 7:05 p.m. game starts at 6:50 p.m. on ESPN Radio 730 AM and WRHI (94.3 FM and 1340 AM). Fans can also listen live online at www.charlotteknights.com. The "Voice of the Charlotte Knights" Matt Swierad will have the call for all of the action.